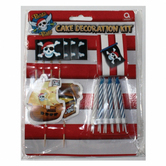 You are here: Home › Products › THEMED PARTIES › PIRATE PARTY / FIESTA PIRATA › Pirate Fun party game. 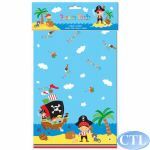 Pirate Fun party game. A twist on Pin The Tail On The Donkey,in this game you have to put the eye patch as near as possible to the marker on the parrot. Game includes 16self-stick pieces, game sheet measuring 15inches x 19.5inches, blindfold and instructions. A great fun filled game for parties or just keeping children entertained. 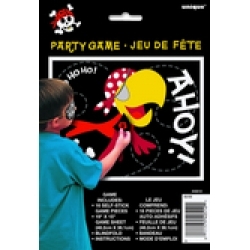 Be the first to review “Pirate Fun party game.” Click here to cancel reply.